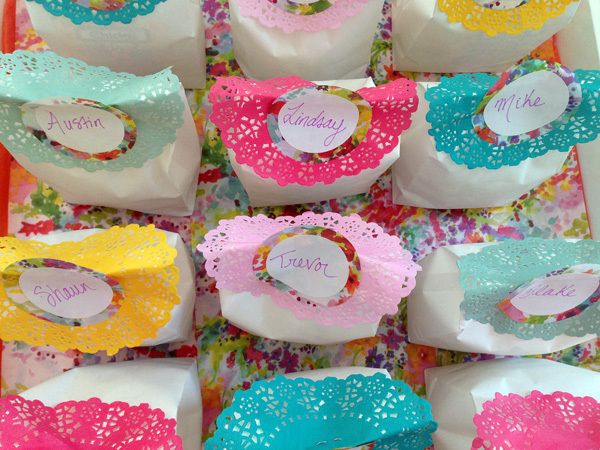 To wrap up Fiesta week, here is how I sent my guests off: Fiesta favors! Inside each bag is a packet of Chiclets and homemade Mexican spiced popcorn. I made a big batch of popcorn and drizzled it with coconut oil, then topped it with sea salt, chili powder and lime zest. 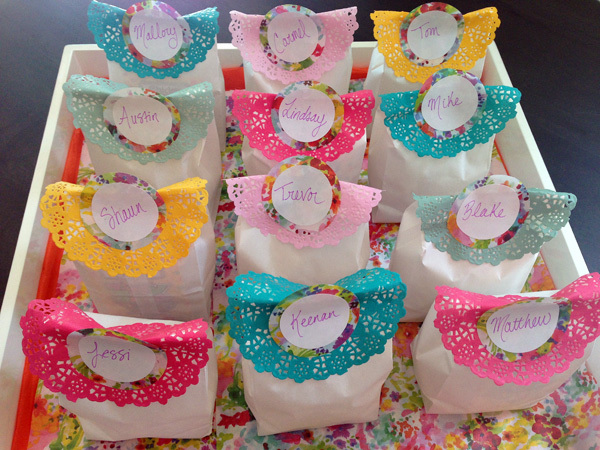 I topped treat bags (similar) with floral fiesta mini doilies. 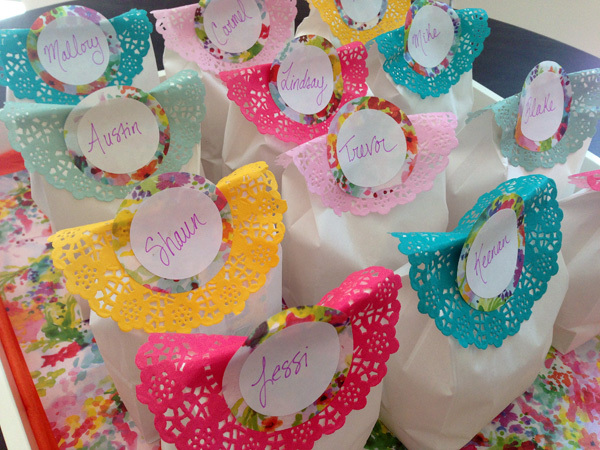 To make the labels I used floral fiesta greaseproof paper and sticker paper and cut them using two different sized round craft punches. All of the "floral fiesta" items can be found on Shop Sweet Lulu - remember to use code BCBFIESTA for 10% off, through tomorrow!